The Canadian Parliament is located in downtown Ottawa, Ontario and was completed in 1927. This building was designed by Jean Omer March and John A. Pearson and stands 303 feet tall with 13 floors. This pewter replica's base measures 3-3/16" X 2-11/16" and stands 2-7/16 inches tall and is finished in antique pewter. This model's scale is 1 inch = 150 feet. For more pics check out our May blog. 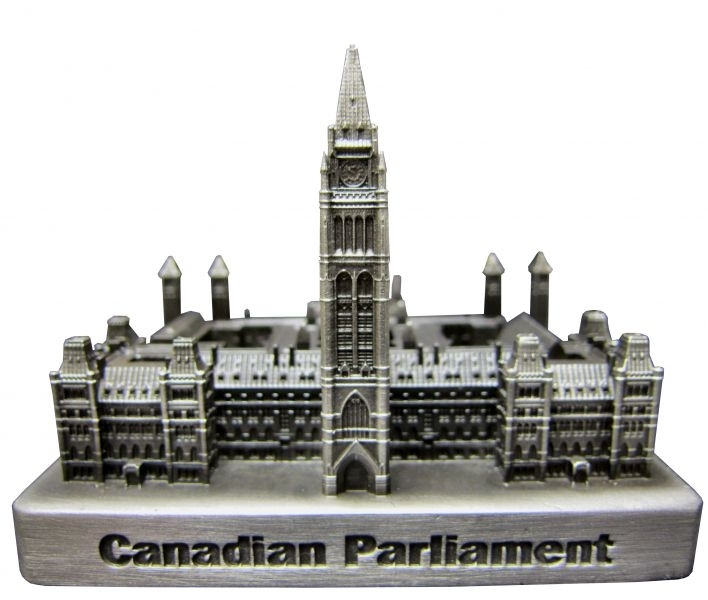 The best miniature model of the Canadian Houses of Parliament. Great detail!